AIDS researchers on MH17: Missile strike killed scientists and advocates to International AIDS Conference. Missile strike from eastern Ukraine killed delegates flying to International AIDS Conference. 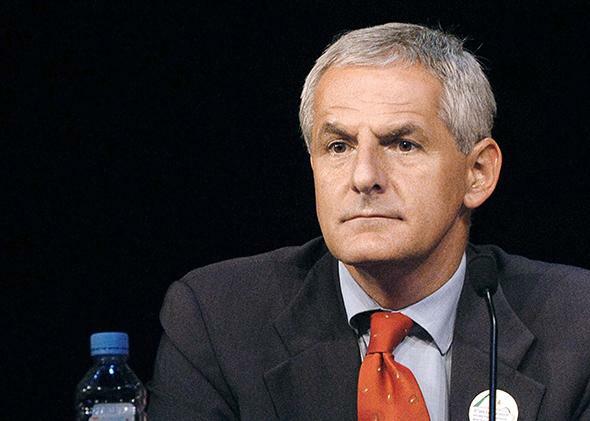 Leading AIDS researcher Joep Lange, former president of the International AIDS Society, was lost on Flight MH17 from Amsterdam to Kuala Lumpur on Thursday. Several passengers on the Malaysia Airlines plane shot down over eastern Ukraine on Thursday were headed to the biennial International AIDS Conference in Melbourne, Australia. * It is one of the largest research conferences in the world, begun in 1985, where scientists, advocates, and policymakers gather to share the latest progress in the battle against the ravaging disease. Among the many lost were two giants of the HIV research community. “Both Joep Lange and Jacqueline van Tongeren meant a lot to us, as colleagues and as friends,” an anguished Brandon O’Dell of the Amsterdam Institute for Global Health and Development told me. Lange was once the president of the International AIDS Society, which organizes the conference. Van Tongeren, his partner, was a nurse and advocate and head of communications for the AIGHD. For those involved in the global fight against AIDS, pain and loss are acute. Many took to Twitter to express their shock, the depth of such sadness plainly captured even in 140 or fewer characters. How do we measure how much a person has done for humanity? People like Joep change the course of epidemics. This is tragic news for a field that has seen such progress, much of it thanks to the work of Lange, van Tongeren, and their colleagues. New AIDS infections have been on the decline globally, shrinking by 38 percent since 2001, according to new figures from the United Nations. Fewer children are infected with AIDS, and fewer people living with HIV are succumbing to disease. The work by humanitarians such as Lange, who founded the PharmAccess Foundation, a charity that helps improve drug access in sub-Saharan Africa, has helped increase the number of people in low- and middle-income countries on antiretroviral drug therapy. In just 10 years, the number treated in these countries climbed from 300,000 in 2002 to 9.7 million in 2012. The gloom cast over these hopeful circumstances by the MH17 deaths makes this year’s AIDS conference and the work of AIDS researchers all the more important. “In recognition of our colleagues’ dedication to the fight against HIV/AIDS, the conference will go ahead as planned and will include opportunities to reflect and remember those we have lost,” the International AIDS Society said in a statement. Update, July 18, 1:32 p.m.: Speaking Thursday about MH17, President Obama held up these researchers as examples of men and women who remind us of ‘the humanity we hold in common.’ ” His remarks about the researchers are below. Read more of Slate’s coverage on Malaysia Airlines Flight 17.